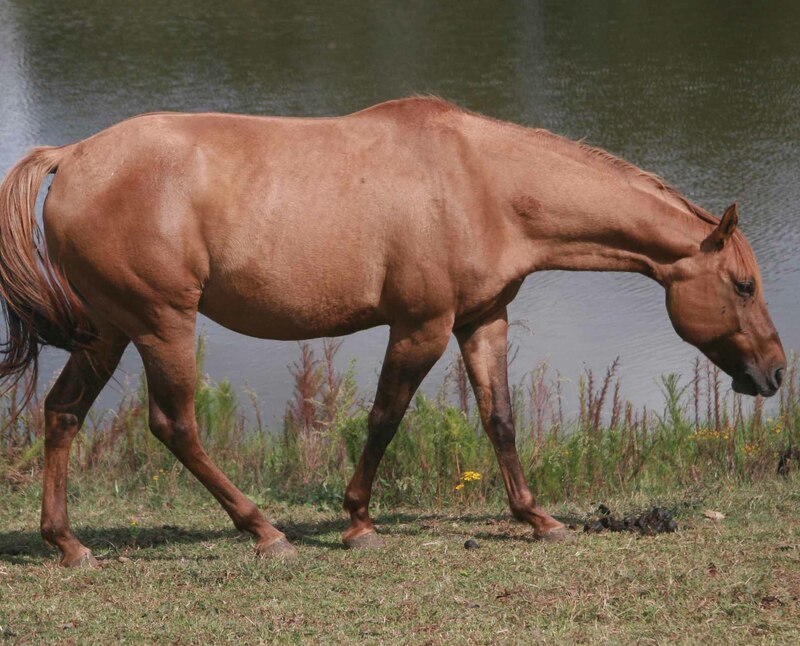 Rescued August 14, 2013 Cayenne is a pretty red dun mare that came from a small herd of 4 starved horses in Surry County that had been relinquished to the local animal control authorities. 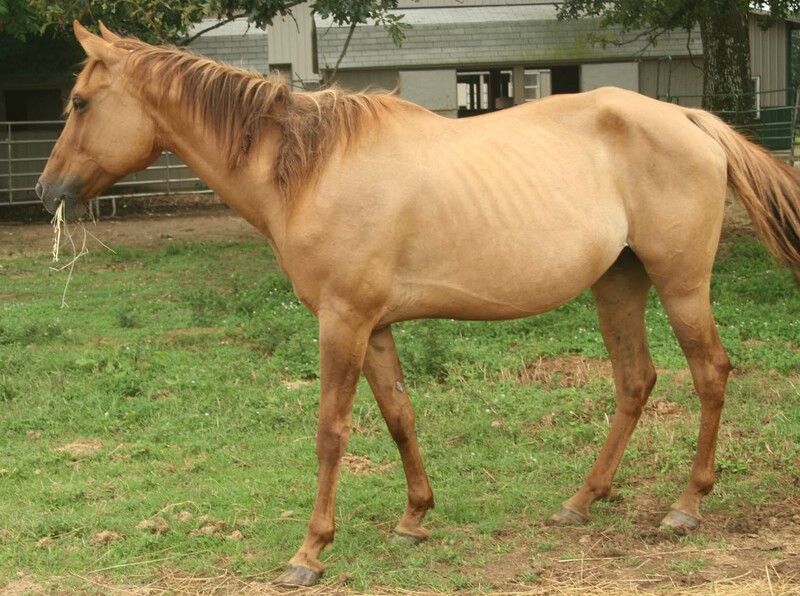 She had been pasture bred to a buckskin paint stallion so we had no idea how far along she was into her pregnancy. Our vet has estimated that she was bred in April, however, to be on the safe side we are treating her as though she will be having a late December/early January foal. Her health is good and the vet feels that she will have a healthy foal and safe pregnancy. Her weight returned quickly thanks to the quality feed, soaked alfalfa and free choice hay provided to her. It has been years since a foal has been born at the sanctuary and our members are truly excited to experience this wondrous event. Special hay has been ordered for our pregnant girl. In this part of the country, fescue is the most prevalent hay however most fescue has been contaminated with a fungus that is dangerous to unborn foals and their mothers so mares must be taken off fescue during their last trimester of pregnancy. The young paint that arrived with Cayenne may give us an indication of what her foal will look like since at 3 years old we think he may be Cayenne's son.